Parenting Consultants in Philly: Do You Actually Need One? By Christine Speer Lejeune·	 3/11/2014, 10:19 a.m.
Last fall, 20 hours after our firstborn came home from the hospital, our little family welcomed its first visitor: my lactation consultant. She glided in, assessed and tweaked my nursing technique, and left her number should any drama arise. It was, my husband and I agreed, $150 well spent. My lactation consultant. I know this sounds like something you’d hear on Real Housewives of Bourgeoisville. 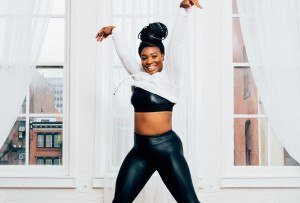 A co-worker—a boomer who’s raised two children—didn’t pull any punches when, a few months later, we were discussing the recent uptick in Philly pros to whom your average parent is turning for help: the nursing experts, yes, but also the sleep consultants, the postpartum doulas, the child nutritionists and so forth. Today’s parents have Dr. Spock, too. But now we also have Dr. Sears. And Baby Wise. And the Baby Whisperer. And the Internet. “Google something, and 600 pages of ‘expert advice’ comes up!” This is Fairmounter Maggie Nudelman, 30, who’s in the process of hiring a consultant to help her baby sleep through the night. “I know people have done this for thousands of years,” she says. “But if we have the opportunity for help, why not take it?” A customized plan, Maggie says, is worth paying for. She’s not alone. The choirs of boomers harrumphing over the outsourcing of what once was parenting’s obligatory drudgework can’t drown out the increasing buzz over, say, Confident Parenting or Sleepy Bug, two local companies who’ll help sleep-train your kid for between $150 and $450 a consult. There’s also Sitter Select, which matches prescreened caretakers with prescreened families ($150 for an annual membership). Oh, and It Takes a Village Baby Consultants and My Fabulous Mama, which both offer a dizzying array of consulting services, from nursery organization to newborn care classes. 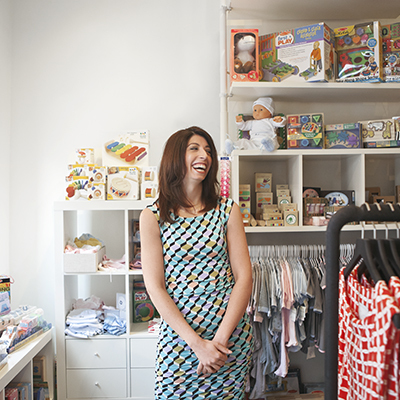 Thirty-five-year-old Marisa Piccarreto owns My Fabulous Mama, the three-year-old baby concierge service that now boasts a new South Street shop and parenting center. For between $85 and $100 an hour, Marisa and her doula-certified staff help parents with baby registries, childproofing, preschool selection, nanny placement, gear tutorials and more—and business has blossomed right along with the population influx of 30-somethings in Center City. “Work demands have really increased from our parent’s generation,” she says. “We’re moving at such a ridiculous pace now.” In fact, she says, not only are her clients not incompetents; most are trying very hard to be great at everything. 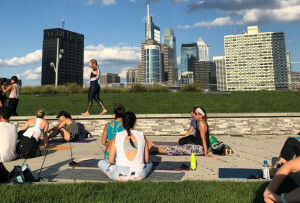 And given the relatively greater mobility of professionals now—not to mention the influx of new residents to Philly over the past several years—most are doing it without the family support previous generations enjoyed. Ask any modern mom: Simply having the option of buying some parenting help saves more than time and confusion; it preserves sanity. Because, as they say, it takes a village to raise a child. We’re just lucky the village takes Visa. This article first appeared in the March 2014 issue of Philadelphia magazine.